GISELE BÜNDCHEN has been named Forbes’ top-earning model eight years in a row. The Brazilian beauty was discovered at age 14 by an Elite Modeling agent at a São Paulo McDonald’s. She moved to New York in 1997 and landed her first Vogue cover in 1999. A year later, Bündchen joined Victoria’s Secret as one of its Angels. She topped Forbes’ list of highest-earning supermodels for the first time in 2004. In addition to modeling, Bündchen has appeared onscreen in The Devil Wears Prada and has her own line of flip-flops and lingerie. Gisele Bundchen is one of the muses of Mario Testino’s gone but before the opening of the exhibition of it in MAB-FAAP today (28/08) evening. As we already told you, the model was in Brazil to promote her line of lingerie , Gisele Bündchen Intimates . But übermodel made ​​sure to include a VIP visit the expose on his agenda: she strolled around with the art director Giovanni Bianco honoring the work of photographer – amigo. Incidentally, that is with Bianco Gisele is organizing the photo book that will celebrate its 20 year career, by Taschen! Why Gisele is the highest-paid model in the world ? By calculations, based on the traditional list of the magazine ‘ Forbes ‘, the top doesn’t leave the House for less than $ 128 thousand per day of work. Meet some of the current contracts of Gisele and know how much she earns for each job. For eight consecutive years, Gisele Bundchen is the highest-paid model in the world, according to the traditional list of Forbesmagazine. According to the publication, the top Brazilian profited more than $ 47 million in 12 months. By calculations, Gisele haven’t left the House for less than $ 128 thousand per day of work, but definitely the high price compensates for the marks, as she is known as the Queen of worldwide marketing. At the time it was poster girl for the network of fast fashion C & A, for example, sales came to increase 20%. Your family and mother image and protective of the environment handle sales of any product. Married to one of the world’s most powerful athletes, the football player Tom Brady, Gisele is the mother of two children and usually show to the press his side more Baby Mama. Benjamin has 4 years, and Vivian Lake will complete 2:0 pm Dec. The millionaire contract with the Swedish fast fashion network was the first signed after birth to Vivian Lake, youngest daughter of Brazilian model. According to Forbes, the fee for each ad campaign would be $ 5 million. New star and poster girl of one of the best-selling perfumes in the world, the Chanel No. 5, Gisele would have received the fee of $ 8 million. The contract with the French label still ensures all travel costs for the dissemination of the product worldwide. Gisele is also the poster girl of another perfume, the 212 VIP Rosé. The fee for the advertising campaign was not disclosed in the press, but it is speculated that it was $ 5 million. Unlike the most famous that launches a partnership with the brand of shoes, Gisele not only wins the fee by the campaign, as an aid in the creative process of all products and still takes a portion of the profits. The lucrative partnership since 2002, and made the Ipanema became the world’s best-selling sandal. In European e-commerce sites, it is possible to find Sandals for up to 40 euros. Until the beginning of this year, Gisele earned more than $ 4 million a year to promote Pantene products and Oral-B in Brazil. In 2014, the contract with the company was renovated and expanded to markets of Latin America and United States. The value in the new salary was not disclosed. The Hurricane Gisele already has a date to return to Brazil. Next Tuesday (August 26), the top launches in São Paulo Collection Summer 2015 from her lingerie line, Gisele Bündchen Intimates (GBI). The event is scheduled for at 20h at the Hotel Tivoli. The FFW, of course, will be there to record everything about the release – follow firsthand by Instagram (ffw). It is expected that the passage of Gisele here cause the same uproar caused in the last launch of GBI last December, when a mob of photographers, journalists, groupies and curious squeezed in NK Store just to photograph and get close to her. This is Gisele effect. Year after year since 2002, Gisele Bundchen has made more money than any other model in the world. At 34, she is still sitting pretty at the top of the world’s highest-paid models list, pulling in an estimated $47 million before taxes and fees in the last 12 months. The Brazilian bombshell out-earned second place beauties Doutzen Kroes and Adriana Lima by $39 million – Bundchen also made about $16 million more than quarterback husband Tom Brady’s $31.3 million annual paycheck. Along with lucrative contracts for H&M , Chanel , and Carolina Herrera, the catwalk icon gets a cut of sales from jelly sandals she designs for shoemaker Grendene. The face of Pantene hair products and Oral-B in Brazil, Bundchen’s line of Hope lingerie – Gisele Bundchen Intimates — also plumps up her paycheck, which has increased $5 million from 2013. How does this campaign represent your vision for Balenciaga? Compared to the first two campaigns that I did with the brand, we really wanted this one to break the mold a little bit. The first one was an homage and more austere, and we never really showed the face. And for the last one, with Daria [Werbowy], it became this idea of transformation. I like this idea of taking iconic supermodels and showing them in a new light and a different way. Specifically with Gisele, she’s known for her hair, so we said, “Let’s show Gisele like she’s never been shown before and this idea of mystery and vanity.” She’s in this black, mirrored room and she’s breaking out of it. In the first season, we had the marble veins [on the runway and in the collection], and then it became the ivy, and then this season the cracked glass—so it was a continuing thread that tied them together as well. 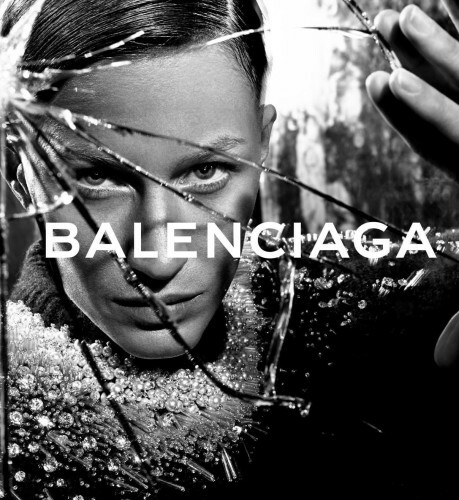 Does the cracked glass represent breaking the mold of what Balenciaga once was as a house? I mean, in a sense. Yes, I guess vaguely. I think there’s something so beautiful when there’s an organic touch to it. I love this idea of veins in the marble or things that [are] graphic [but still] organic. That element is very interesting to me because there is a rawness to it. Where did your inspiration stem from for these visuals? 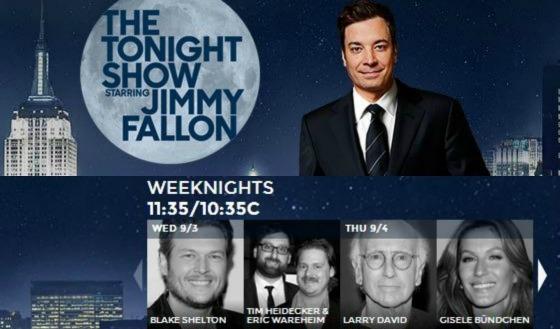 We worked with Gisele on the show, she closed the show, and we really wanted her. Gisele has been around and shown in so many different ways. So we said, “OK, we want to show Gisele in a way that people have never seen her before.” That was the first goal for us to achieve, and that’s very hard for someone that has done almost everything and has worked with so many different brands and people! It really started with this idea of transforming Gisele and capturing what we felt was different about her being part of the Balenciaga brand. We love showing her really uncompromised and that ultimate extreme beauty breaking out of a mirror. It’s almost beauty so powerful [it can’t be contained]. And also to empower women to cut their hair and feel confident and feel beautiful and feel desired. We’ve seen Gisele recently and her waves are still very much intact. Was there a bit of Photoshop magic at play within this campaign? I mean, yes, of course. There was a whole team involved. We had a specialist [Jane Choi] come in who actually works on movie sets doing prosthetics. We spent two days making a prosthetic bald cap on a Gisele body double. And then we had to get another body double who we had to give the exact same haircut. So for every picture we took with Gisele, we had to take another picture with the body double. Then we fused those two together. It was the first time I’ve ever worked in that way, and [master retoucher] Pascal Dangin, he’s just incredible. He’s a true artist and a painter. When he was showing me the mock-ups, I was blown away by what he was able to achieve before we even got to the shoot. How hard was it to achieve the finished result, as you see the hair from so many different angles? The funny thing was that Gisele had to come in three hours before call time just to put the bald cap on. We had to wrap the hair very, very flat to her head, put the bald cap on, and then paint the bald cap to the exact same skin color as Gisele. It was basically like putting her into what you usually see on sets like X-Men. Every time we shot the picture it was kind of crazy because it was always just shooting her with the bald cap on and then having to visualize a bald Gisele. Then we’d go in and shoot the body double and that whole process. In the end, seeing it all come together was really magical. Since we’re seeing Gisele in an entirely new way, who is the Balenciaga girl and how has she evolved since you arrived at the house? I feel that for me right now the most important thing is to show this idea of empowerment, and people always talk about confidence and strength. It was a bit more understated, and this collection was [one] where I was really breaking through a lot of barriers and connotations, and I wanted the campaign and visuals to represent that. It’s kind of like a continuing dialogue. I never like to put exactly into words who the girl is because the collections speak for themselves. Also, there is something that is celebrated about individuality, and I like that any woman can come to Balenciaga and make it her own. What do you think Cristóbal Balenciaga would say about seeing a woman with a shaved head in one of his campaigns? I don’t know! He was always one to look at women in a different way. I think that’s something that I share in terms of an outlook. If he were living today in our world and our society, and wanting to do something that was different and open up some eyes…hopefully I did him proud. In terms of Balenciaga, what’s next? What are your plans for expansion? We have the fragrance [B. Balenciaga, pronounced Bee-dot] that’s coming out this fall. That’s going to be big for me because I’ve never done a fragrance before. And we have a couple of new launches, so it’s a little too early to say, but you’ll just have to stay tuned! Supermodel Linda Evangelista famously wouldn’t get out of bed for less than $10,000; this year it could be said Gisele did not leave the house for less than $128,000 a day. The Brazilian powerhouse pocketed $47 million in the last 12 months before taxes and fees, making her the world’s highest-paid model for the eighth year in a row. Along with lucrative contracts for H&M, Chanel, and Carolina Herrera, Gisele gets a cut of sales from the jelly sandals she designs for Brazilian shoemaker Grendene. The face of Pantene hair products and Oral-B in Brazil, Bundchen’s line of Hope lingerie — Gisele Bundchen Intimates — also plumps up her paycheck. A Goodwill Ambassador of the United Nations Environment Programme, Bundchen sits on the board of the Rainforest Alliance, a non-profit dedicated to conserving biodiversity and sustainability. Forbes’ annual Celebrity 100 list ranks the top stars from the worlds of movies, TV, music, sports, books and modelling based on money and fame. We estimate earnings by talking to lawyers, producers, agents and other in-the-know folks to figure out how much over 200 celebrities earned from entertainment-related business in the past year. That includes things like music sales, upfront pay on movies and endorsement work. Our time frame for earnings this year is June 1, 2013 to June 1 2014. We don’t deduct for things like taxes, agent fees or the other expenses associated with being a celebrity. We measure fame in a variety of ways. We count how many times each celebrity was mentioned in print, on TV and radio. We factor in a score from StarCount for social media power over 12 platforms including Twitter TWTR -1.05%, Facebook and YouTube. This year we’ve also added an impact score, similar to the one we use for our Power Women list. Based on reporting by our editorial staff, the number measures the impact each celebrity has on the entertainment industry and our culture overall. We put all of those numbers into an algorithm to come up with our final list. Justin Bieber had the highest ranking for social networking power but because of his low impact this year, he only ranked 33rd on our list, down from ninth last year.